A brilliant 3.2 litre hot air fryer by Weight Watchers a great way to fry great food. 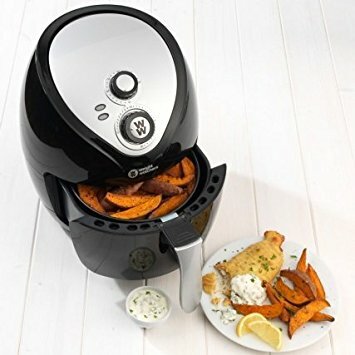 This fantastic hot air fryer cooks using little or no oil, cooking healthier versions of your favourite fried foods in next to no time, using hot air technology and less oil and fat. Ideal for making all of your favourite Weight Watchers meals, including a fantastic selection of recipes to help you get started.